All Elite Wrestling made several announcements at their recent “rally” about the future of the company, but there are still several unanswered questions about what comes next for the promotion run by The Young Bucks, Brandi Rhodes, and Cody Rhodes. 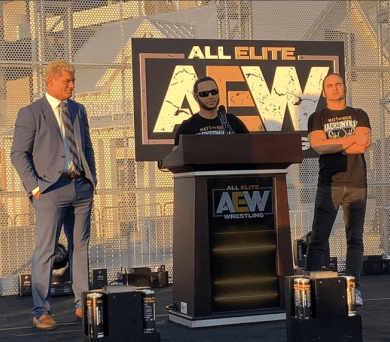 On Tuesday, the newly formed All Elite Wrestling held a “rally” in Jacksonville, Florida to make some initial announcements. This including signings such as Britt Baker, Penelope Ford, PAC, and Chris Jericho as well as All In: Double or Nothing taking place on May 25 in Las Vegas at the MGM Grand Arena. While the showing of talent was impressive and the hype was definitely real, there were still a lot of deeper questions in the air about the future of AEW that weren’t fully answered.